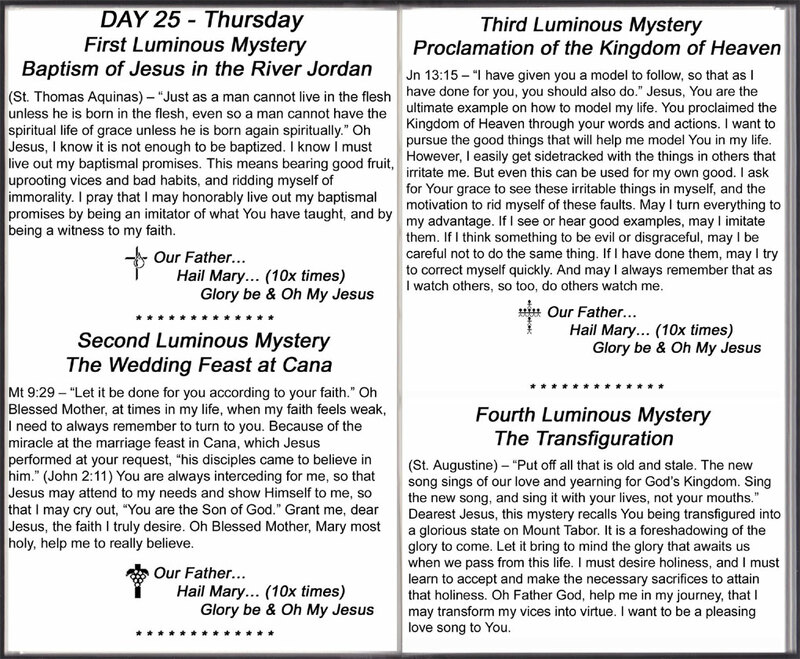 Complete Set of All Four Scriptural Rosary Booklets & 33 Day Meditation Book. 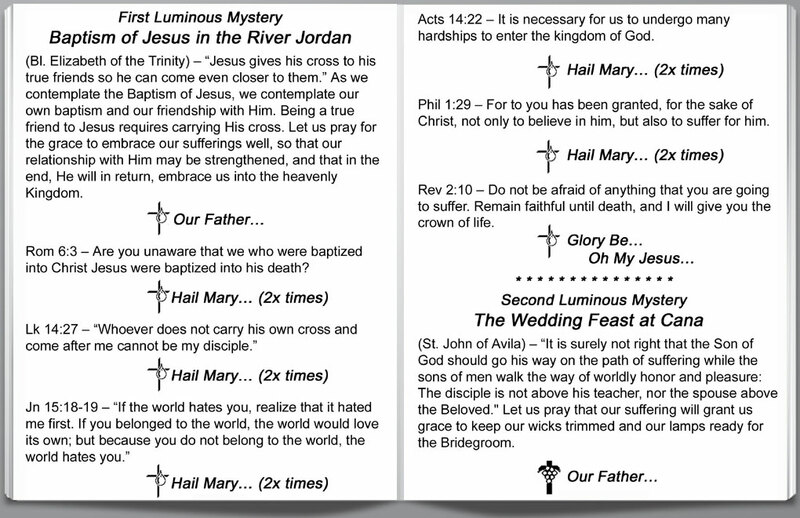 Each scriptural rosary booklet includes all 20 Mysteries. The 33 Day Meditation book consists of 165 total meditations, accompanied by scriptural quotes and quotes from saints. The meditation book follows the mysteries for each day of the week. 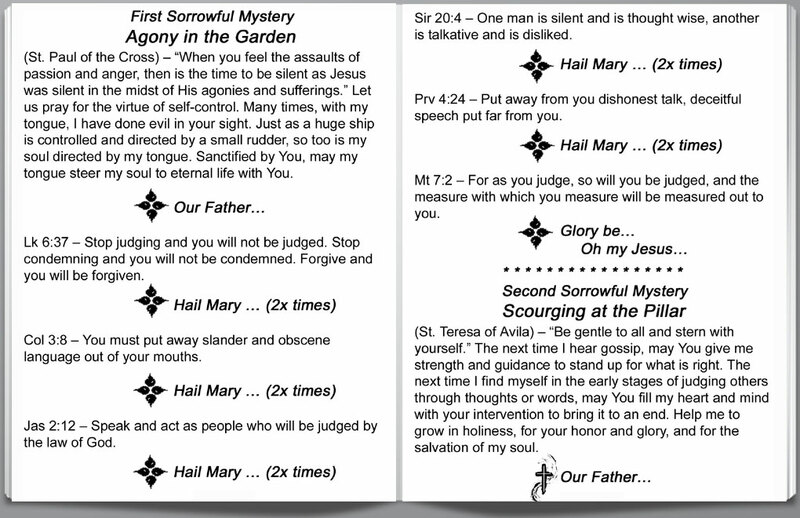 Scriptural Rosary booklets are 36-40 pages, 4.25"x5.5" - Pocket Size. 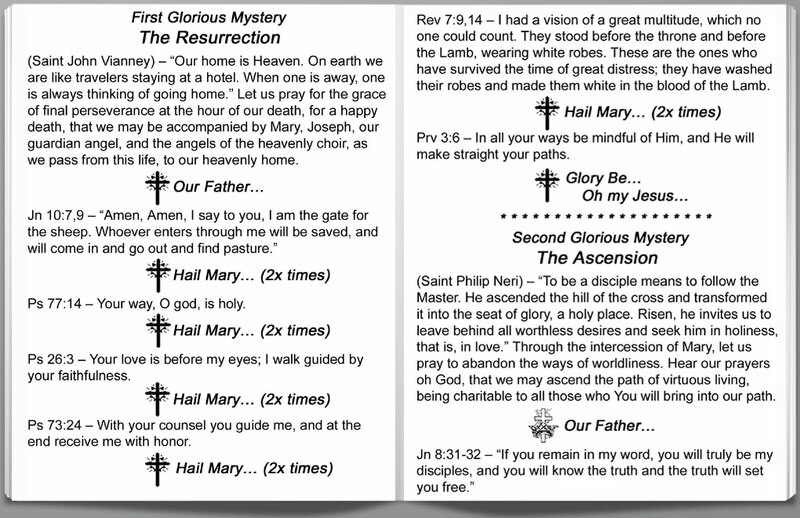 33 Day Rosary Meditation book is 133 pages, 4.25"x7" - Pocket Size.